So I'm biased. Sue me. I won't watch another trailer for Star Wars: The Force Awakens but give me as many trailers for the new run of The X-Files as you can possibly produce and I'll just keep watching them. I simply can't help myself when it comes to Mulder and Scully. Fox has unveiled a shiny new trailer for the upcoming revival and our first â€œofficialâ€ look at Mulder, Scully and a few hints at what could possibly be plaguing them this time. Hint: it appears to be part of the show's overall alien mythology. I love the little nudges at staples of the original, namely the â€œI Want to Believeâ€ poster, the intro of Mulder and Scully and the return of Mark Snow's theme music. Early reviews have been mixed but that hasn't sidelined the level of excitement. Bring on the aliens (and hopefully more episodes)! The X-Files returns for a limited six episode run on FOX beginning January 24, 2016. 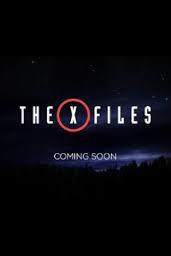 I think its awesome the xfiles is coming back. I hope they have more side stories. Some of those were just lovely. As example episode "Darkness Falls".